We have been having a lot of fun with the Audubon BirdCams. The one we set up on a TrekPod on the second floor has been capturing some very candid pics of visitors to the feeder (sparrow, blue jay, cardinal). The other unit is slated for the outside but its setup has been on hold awaiting the arrival of some accessories. With a solar panel, we wouldn’t have to worry about the BirdCam running out of power, but we’d need to find a good location for the panel. With rechargeable batteries, we’d still need to check the unit periodically, but at least we’d be able to reuse the batteries for years. Also, by using D-size adapter sleeves, we can use the more commonly available AA-size rechargeables. 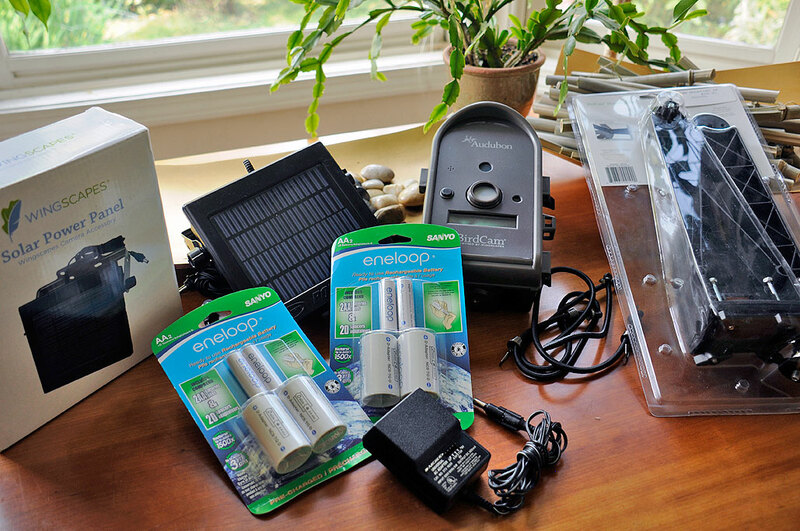 We have used Eneloops for years (travel pack, in-use, FirstLook) but never for outdoor applications. It will be interesting to see how they fare. The accessory we were waiting on was the Pole Mounting Arm . We could have used the straps which came with the BirdCam, but we wanted a more flexible option. This accessory makes it easy to attach the BirdCam to a variety of poles and to move it to any location in the RainyDayGarden. It has an adjustable locking elbow and a threaded bolt on the ball joint at the end that enables easy positioning of the camera. The best part of the arm is that everything is tightened using wingnuts, so no tools are needed for setup or adjustments. 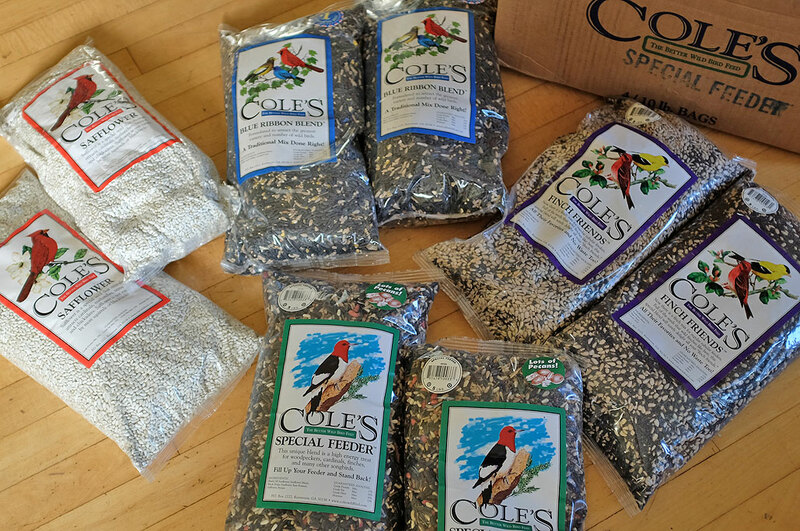 By the time we finish the 40 pounds of seed, there should be some fat birds fluttering around the RainyDayGarden 🙂 In the next article, we will show readers how to set up the pole mounting arm and attach a BirdCam to it for use outside. Look for it by the end of the week!